Tight end O.J. 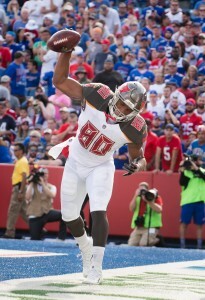 Howard and safety Justin Evans have been ruled out for the year, the Buccaneers announced. 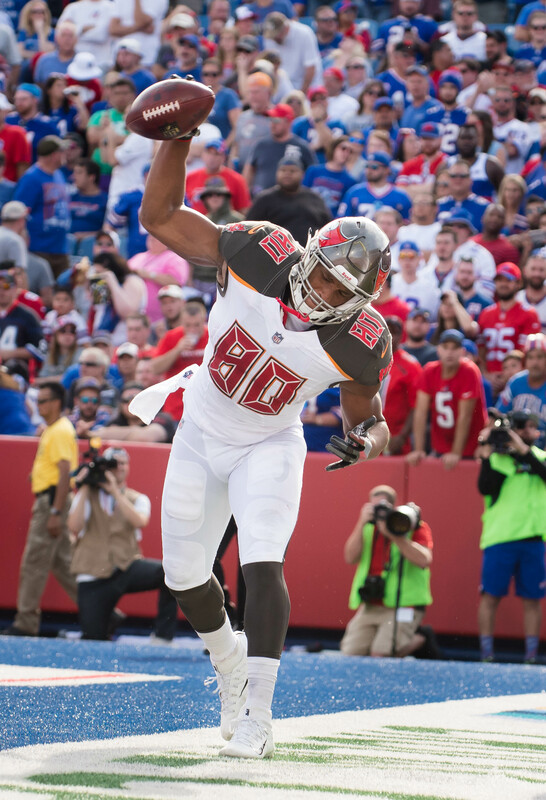 As previously reported, cornerback Vernon Hargreaves III, guard J.R. Sweezy, and linebacker Adarius Glanton have also been placed on IR, meaning that the Bucs have shut down five players for the year on the same day. Howard (first round) and Evans (second round) were the Bucs’ top draft picks in 2017. Howard was productive in the end zone this year, notching six touchdowns with 26 catches and 432 yards. Evans, meanwhile, made nine starts and recorded 49 tackles with three interceptions. Needless to say, both players will play a major role on the team next year. Fellow tight end Cameron Brate, who also had a strong season, is expected to be retained with a high restricted free agent tender. The 4-10 Buccaneers would have the No. 7 pick in the draft if the season ended today. The Texans (pick belongs to the Browns), 49ers, and Bears all have equal records, but the Bucs rank lower in the draft order due to their strength of schedule. 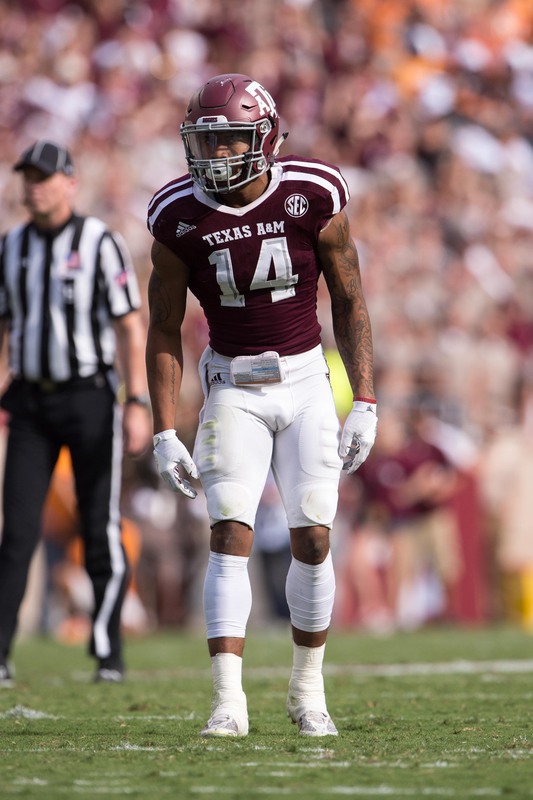 Texas A&M Justin Evans has a strong chance of being selected in the back end of the first round of the draft, according to Tony Pauline of DraftAnalyst.com, and the Cowboys, Falcons, and Buccaneers are among the NFL teams with the most interest in the defensive back prospect. Evans has met with both Dallas and Atlanta, per Pauline. The Cowboys saw a high percentage of their defensive secondary leave during the free agent period, and two of their top three safeties — Barry Church and J.J. Wilcox — signed multi-year deals with rival clubs. The Falcons, meanwhile, may view Evans as an improvement over incumbent defender Ricardo Allen, as Evans would give head coach Dan Quinn an Earl Thomas-esque defender, per Pauline. Dallas and Atlanta hold the No. 28 and No. 31 picks, respectively. The Buccaneers, meanwhile, likely won’t let Evans get past them in second round, where they own the No. 50 selection. Tampa Bay inked Wilcox last month, but could still use more depth in a safety group that was among the league’s worst in 2016. Chris Conte, Keith Tandy, and Ryan Smith comprise the remainder of the Bucs’ safety depth chart. Evans has also met with the Dolphins during the predraft process. The Jets fined defensive lineman Muhammad Wilkerson and Sheldon Richardson “significant” amounts of money for tardiness before benching them for the first quarter of a November contest, according to Ralph Vacchiano of SNY. Indeed, sources indicate to Vacchiano that head coach Todd Bowles — often viewed as overly tolerant of his players’ indiscretions — isn’t so mild-mannered behind the scenes. Still, New York certainly didn’t expect Wilkerson to show commitment issues after inking him to a hefty extension last year. While Richardson’s lateness issues (and poor play) could negatively affect his trade value, the Jets still may be able to use the pass-rusher as a trade chit in the coming weeks, writes Rich Cimini of ESPN.com. If New York wants to trade back into Round 1 for a quarterback, for example, the team could potentially package Richardson and its second-round pick (No. 39) to move ahead of of a club like the Texans, who may also be looking for a QB. Getting back into the first round would also allow the Jets to pick up a fifth-year option on the signal-caller of their choice. Dolphins defensive line coach Terrell Williams took a sojourn to East Lansing to work out Michigan State defensive tackle Malik McDowell, reports Adam Beasley of the Miami Herald. Recently linked to free agent Johnathan Hankins, the Dolphins are in the market for a tackle to play alongside Ndamukong Suh and Jordan Phillips. McDowell could be on the board when Miami picks at No. 22, although the Fins are expected to target edge help in the first round. The Dolphins are the first known team to meet with McDowell. Safety prospects Josh Jones (North Carolina State) and Justin Evans (Texas A&M) will meet with the Dolphins soon, per Barry Jackson of the Miami Herald. Although Miami recently extended defensive back Reshad Jones, the club is still looking for another safety after Isa Abdul-Quddus was released following a neck injury. Jones has also drawn interest from the Ravens, while Evans has met with the Cowboys. 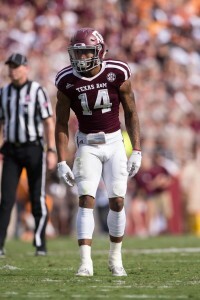 Texas A&M safety Justin Evans could sneak into the back end of Round 1 in the 2017 draft, according to Tony Pauline of DraftAnalyst.com, who reports the Cowboys are among the clubs currently interested in Evans. Dallas has two safeties headed for free agency — Barry Church and J.J. Wilcox — meaning the club could use depth and potentially a new starter in the defensive backfield. The Cowboys currently hold the 28th pick in the first round. The Giants are “very high” on Miami tight end David Njoku, per Pauline. Njoku, who posted eight touchdowns and nearly 700 yards receiving in 2016, placed as the No. 12 overall player on Daniel Jeremiah of NFL.com‘s most recent Top 50 rankings, just above of fellow tight end O.J. Howard. New York’s tight end group is currently comprised of Will Tye, Larry Donnell, Matt LaCosse, and Jerell Adams, but the club is clearly looking for an upgrade, as they’ve also been linked to South Alabama’s Gerald Everett. The Packers are expected to target cornerbacks in the draft and free agency, one source told Pauline in a separate post, adding Green Bay will look to acquire “lots” of defensive backs. After fielding an abysmal pass defense in 2016, and releasing veteran Sam Shields earlier today, the Packers could look for a new defender in the first round of the draft, or target help on the open market. Not only are NFL clubs not in unison on who the No. 1 quarterback in the draft is, but teams have varying views on the top-five signal-callers available, writes Matt Miller of Bleacher Report. One scout told Miller that his organization has Pittsburgh’s Nathan Peterman ranked ahead of Notre Dame’s DeShone Kizer, but graded both as Round 2 players. The Cardinals could still target an early-round wide receiver even after Larry Fitzgerald announced his intention to return for the 2017 season, as Miller reports. Although Fitzgerald will be back, Arizona will be without Michael Floyd, who was released at the end of the season and had been set to hit free agency. I identified wideout as an area of focus for the Cardinals when assessing their top offseason needs.